Merel, please introduce yourself briefly. My name is Merel Schoneveld, I live in The Hague, the Netherlands and a stay at home of 4 year old. I discovered street photography in the fall of 2016, in the first place because I needed to find something to do for myself other than being a mom, to get out of the house and feel free. I was instantly in love with this form of photography. 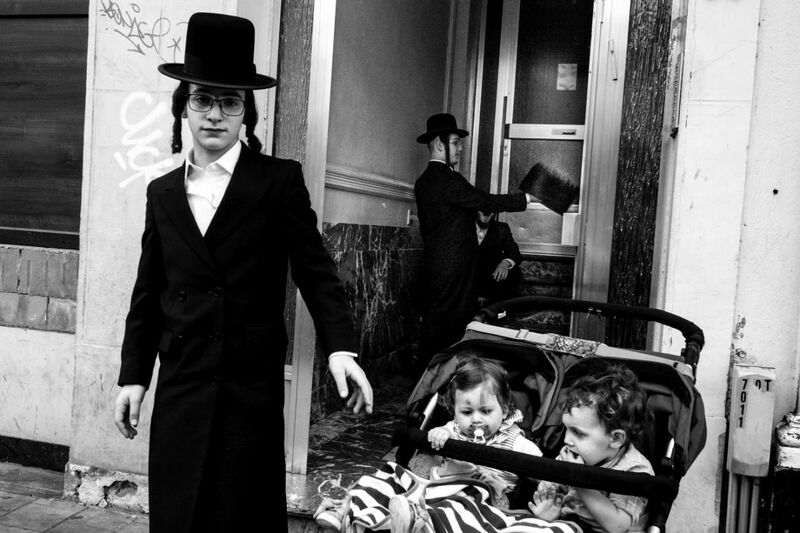 Stories, emotions, they are all there on the street, I love not having to fabricate it, it’s so very pure. All you need to do is observe. It has made me appreciate the beauty in everyday life and in my fellow human beings. 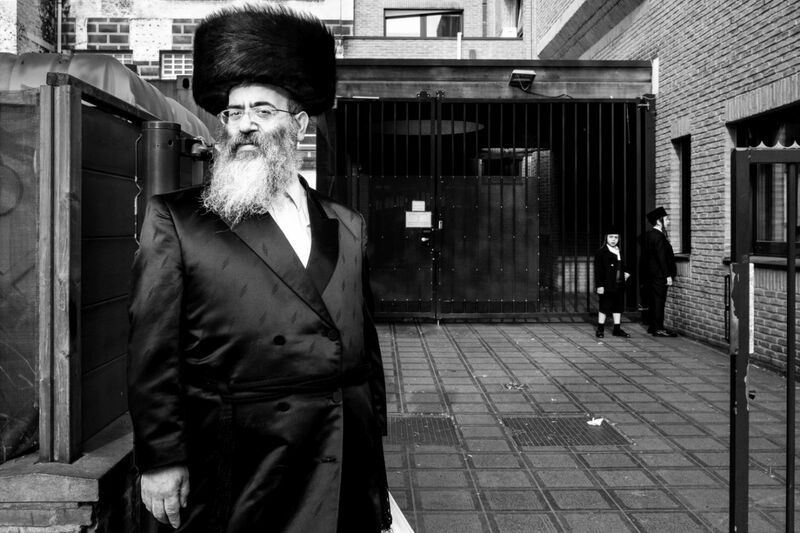 What is our approach when photographing people or scenes on the streets? Do you interact with your subjects? I don’t usually interact with people on the street, I try to capture the true essence of the person or the moment. I like photos with eye contact too, but those photos are always taken the second before it sinks that they are being photographed. I do meet a lot of people on the street and have very much enjoyed meaningful encounters with all sorts of people, but I wont photograph them after we have met. I’m a quiet observer, but I’ve pushed myself to be daring. Somehow I manage to get up close and personal and very swiftly capture moments without changing the situation. 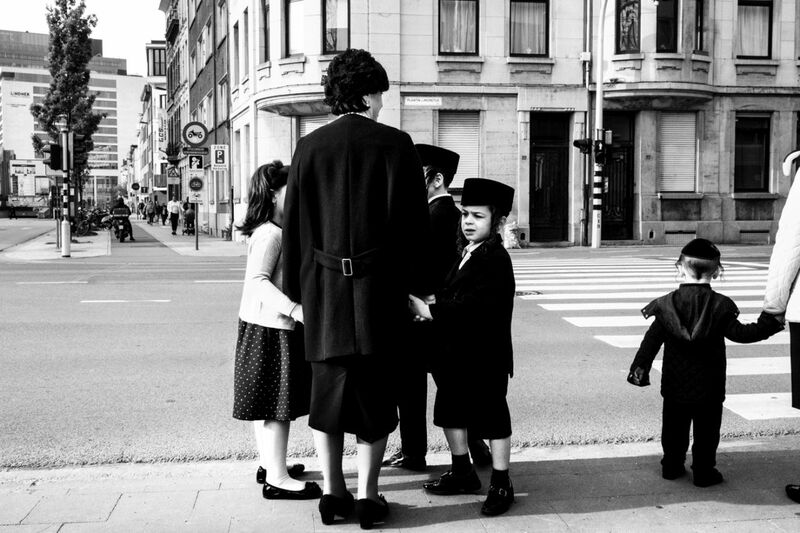 You submitted a series “Growing up Orthodox”, shot in Antwerp, Belgium. Please tell us how this series came about and what you experienced during the shoot. 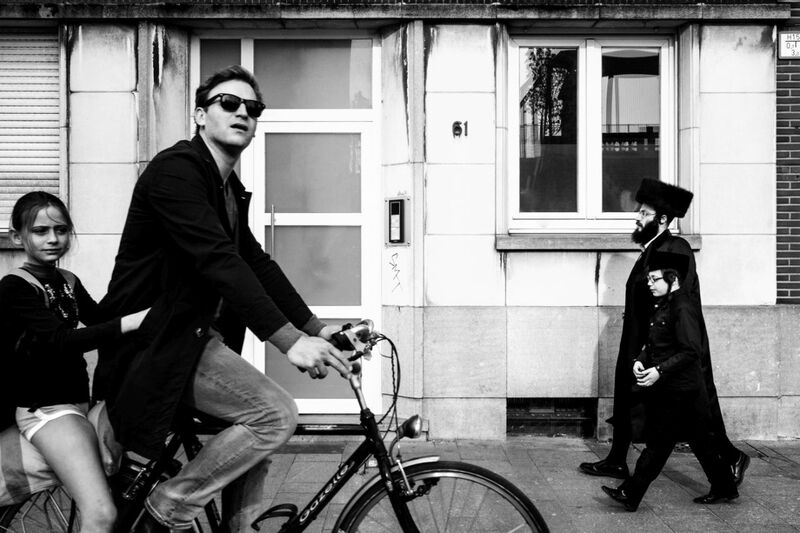 I had about an hour or 2 to do some photography in the Diamond district where many Orthodox jews live. All these photos are actually taken in the same street. 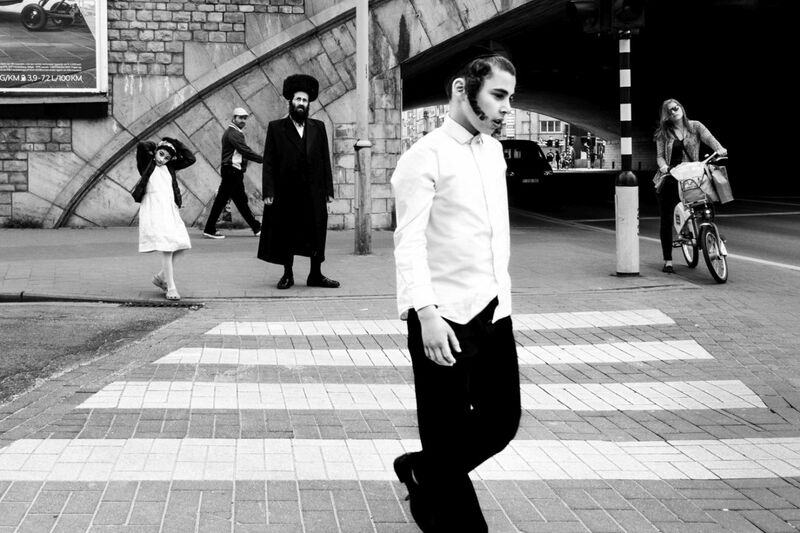 I didn’t plan to make a series about the kids growing up orthodox but they quickly intrigued me. There were so many of them everywhere, it was obvious these families have a lot of children and they all seemed very close and loving towards each other. 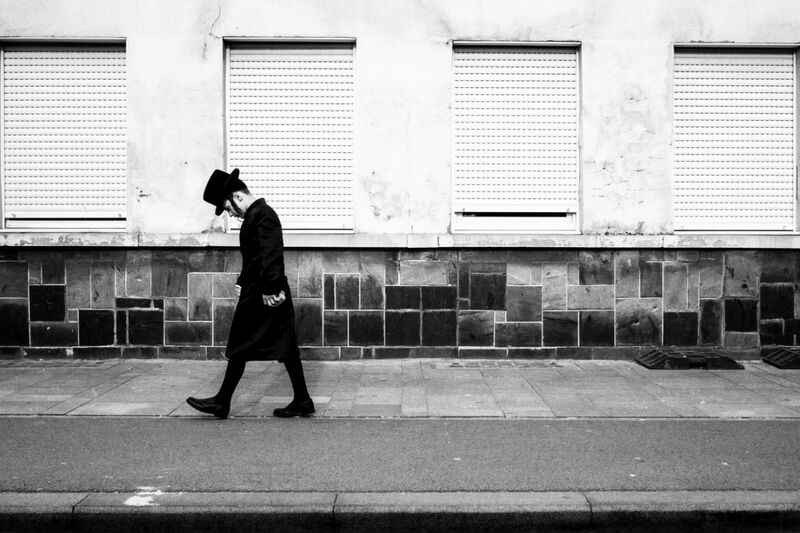 I actually didn’t know much about how orthodox jews live so it was very interesting to observe them. Most if not all came across as very modest and reserved. I could share all my observations with you but I also don’t want to make assumptions about their culture and way of living. All I can say is I felt a lot of respect for them, even though they might have experienced my being there with my camera as nosey and disrespectful. I was just being an observer as I always am on the street. 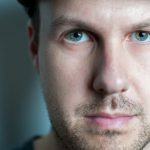 You are shooting street photography for only 9 months now. What’s your conclusion so far and what are your future plans or projects? So far, all I can say is that its giving me a lot of joy every Saturday that I hit the streets! I hope by keeping this up I will grow and improve a little more each time. I don’t have the money to go to a photography school so this is my way of teaching myself the art of photography and I hope to one day make the photo’s I dream off (and be able to travel more hopefully). On my website or my instagram account.